Here is a question I get pretty often from the folks that call up to ask about the next local self storage auction, as well as from people I talk with in town that say they’ve been thinking of trying their hand at the next public sale. Is it really possible to make money off these storage auctions? they ask me. As I always tell them, and as I’ll tell you right now, there’s a two part answer to that question: 1. Yes and 2. It depends on you. It actually depends on you much more than it depends on luck and what you might happen to find in a given storage locker. Sure, those big and unexpected scores DO happen to fortunate auction hunters, but what truly separates the pros from the casual auction hunters is WORK. The pros are willing to invest the time, energy and patience it takes to really strike it big in this business. Yes, it really is possible to make money off storage auctions. But, it depends on you and just how serious you are about turning self storage auctions into a profitable side income. Plenty of people show up for one or two auctions with some cash in their pockets, poke around in the lockers up for sale and at the end of the day go home with a trunk full of someone else’s stuff – some of it they’ll use at home and maybe a couple of items will get re-sold. There’s nothing wrong with that. Casual auction goers can enjoy these events, too. But if you are really serious about adding several hundred dollars per month to your income, you will need to do some hustling. It takes energy and commitment to figure out when and where the next 5 storage auctions nearest you are going to occur. You have to keep on your schedule and make it to these events and show up on time. You need to have the investment cash ready to buy up a locker when you find one worthwhile. For some beginning auction hunters, this means logging extra hours at their normal job in order to come up with the initial capital. You must have the forethought and organization to come prepared with the tools you’ll need during the auction as well as the appropriate transportation for afterward – hauling the spoils away is one of the most often overlooked and yet most essential parts of the entire auction unit buying process. Most importantly, you must have the drive to keep yourself focused on sorting, identifying, researching, refurbishing and re-selling the goods you do obtain from the self storage auctions you spend so much time and effort attending. This is where the majority of would-be successful auction hunters lose their way and allow their potential profits to sit unclaimed. You need to think of yourself as running a business. You may be the only business’s employee, but that’s all the more reason why you need to work to ensure that your company brings in revenue. Getting the inventory is the easy part, but for many unsuccessful auction goers, turning it around for profit seems to be the hard part. The truth is there’s nothing scary about re-selling and there’s nothing very complicated about it either. If you are unfamiliar with online auction sites, you need to invest the time to learn how to use them. Simple as that. Online auction sites remain one of the best ways to quickly and profitably sell things to a massive audience of motivated buyers. If you don’t have the proper accounts set up yet, start making accounts, not excuses. Yard sales can be effective means of re-selling some of your self storage spoils, but certain categories of items simply cannot and should not be sold directly. Specialty computers and electronics, for example, need to be put before the eyes of understanding buyers who know how to appreciate them and the reasons behind their high sale prices. Your average joe off the street that comes to your yard sale might just think they like the same item, make you a ridiculous offer, and then get huffy when you don’t agree. 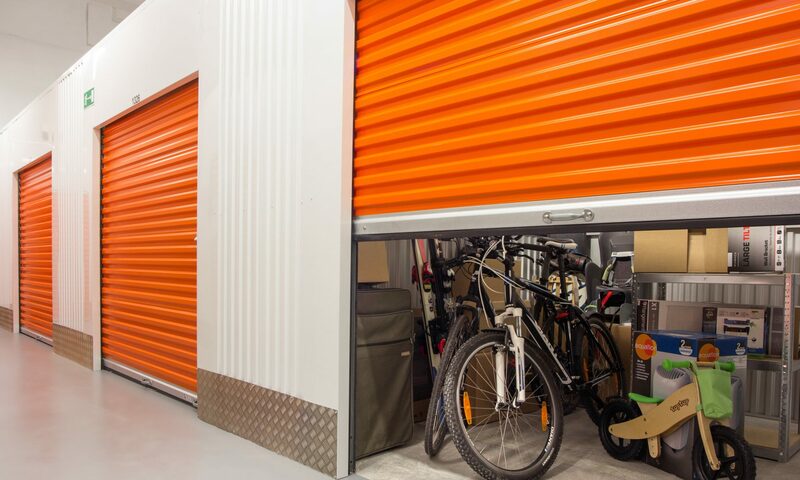 In short, insofar as you are determined and insofar as you can begin thinking of yourself as your own business, that needs to keep on selling and getting new inventory out the door at the right price, you definitely CAN make money from self storage auctions. Previous PostPrevious Looking for Storage Auctions in Your Area?